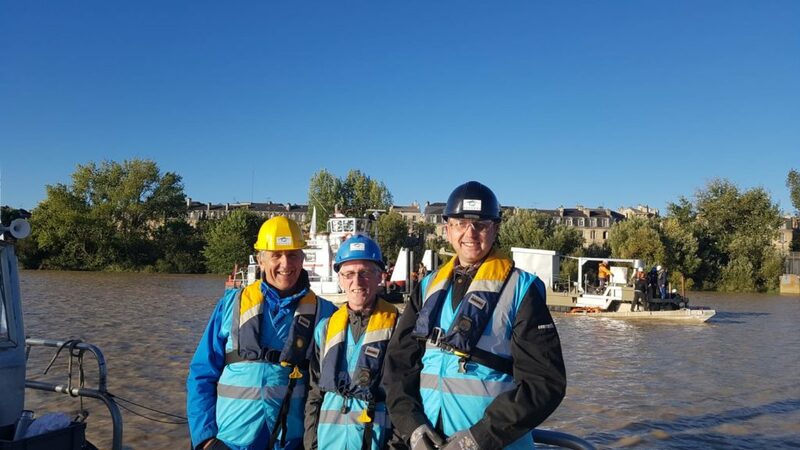 At 7:00AM on the 25th of September, launch operations began for our 25kW hydrokinetic turbine at the SEENEOH test site in Bordeaux, France and by 11:00AM the device was successfully secured to the mooring, ready for operation. Our technical team arrived in France last week to assemble the turbines and attach them to the access platform. 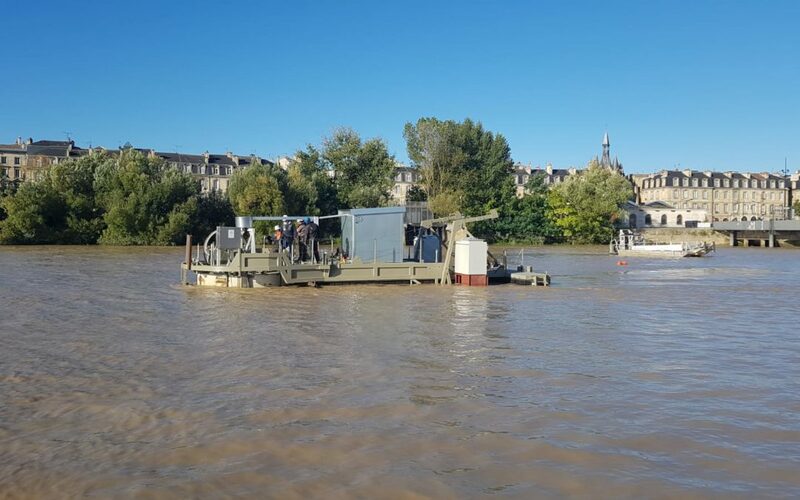 The assembly of the device was completed at the EVIAA workshop near Bordeaux before being transported to the Quay close to the deployment site. 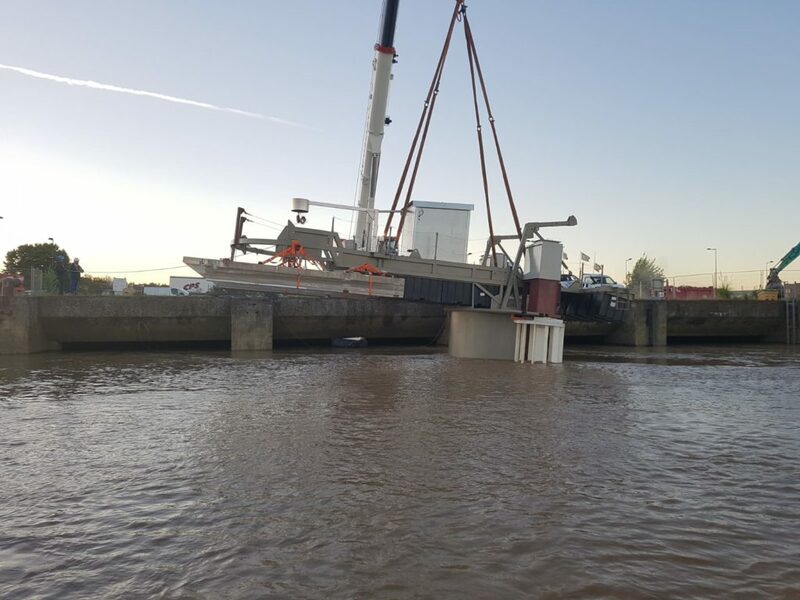 The turbine was easily loaded into the Garonne River by crane and then towed to the deployment site by marine operations company, Cœur d’Estuaire. The technology was designed with simple deployment procedures in mind and this was clearly demonstrated on the day. At SEENEOH, the 25kW device will undergo extensive operational and environmental testing while connected to the French grid. Power curves will be verified by the international recognised Bureau Veritas standard. Our work with the team at SEENEOH has been a fantastic experience and we are excited for the next steps for our Horizon 2020 SME Instrument project to develop and commercialise these devices.